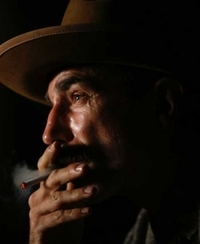 [Alternate Takes] There Will Be Blood: A Sociopathic Film? 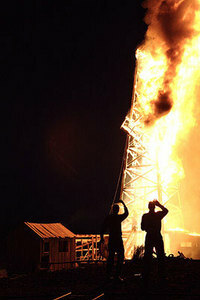 There Will Be Blood: A Sociopathic Film? We can see why the shoe has been considered a good fit: Blood has a period setting, tying it overtly to historical cinematic and literary American traditions; it is also two and a half hours long, giving it a pleasingly bloated quality; it features a bullying, powerhouse central performance from an actor who seems currently above reproach; it contains references to serious (and timely) themes such as religion and capitalism, lending it an air of social importance; its narrative spans about thirty years, giving the story a sense of scope and historical import; finally, it is filled with expansive shots of a lost America, which again helps create an impression of the sort of scale - not to mention a kind of tainted nostalgia - that we associate with great American artists like Fitzgerald, Melville, Whitman, Twain, or Kerouac (not to mention Welles, Coppola, or Malick). 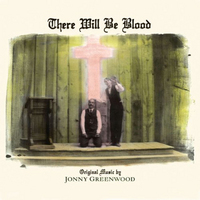 Little could be further from the truth for There Will Be Blood. 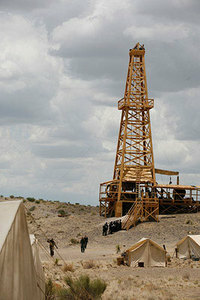 This isn’t to say that Jack Fisk’s astonishing production design, for instance, doesn’t feel entirely authentic and accurate to its socially-specific period (for a contrast, look at the overly artfully bleached-out and sparse mise-en-scene of The Assassination of Jesse James… [2007): this isn’t a question of anachronisms or a lack of feeling for the setting, neither of which could ever be said to be problems for Blood. Instead, it is the way that the tightness of the film’s focus means it constantly leaves gaps in our potential for understanding the world it depicts - elisions, ambiguities, and silences, where we might expect an ‘epic’ to provide details, contexts, and clarifications. These gaps range from basic ambiguities in the narrative itself to relationships between characters, to silence on broader questions of how the society of Little Boston operates, and all reflect how uninterested the film is with understanding its world and its society more generally. I could go on, but by now it should be clear what I mean by the film’s lack of interest in making us understand its world in social terms. The next question, then, is what we make of this. It could be argued (and, indeed, has been in a trio of thoughtful blog posts on the film that I have read, by Zach Campbell, Dan Sallit, and Darren Hughes) that the film’s eschewing of such things can be seen as a limitation. Viewed negatively, we could see it either as simply incompetent storytelling (which I certainly don’t think it is), or as evidence of a short-sighted or blindly insensitive attitude on Anderson’s part towards the society he is depicting. The latter argument has the potential to be persuasive: I certainly don’t think that the film is first and foremost trying to be ‘political’ (i.e. : about the effects of capitalism and religion on society), and the attempts to understand it as such - as primarily a vague allegory of sorts - by critics, though seductive to a degree, have not been fully convincing. However, that the film consciously limits our view and understanding of its social world can be seen more positively if we view it as an entirely appropriate way of telling a story about its central character. Before it is concerned with anything else, There Will Be Blood is concerned with the strange, terrifying character of Daniel Plainview. Yet the film also feels oddly unlike a character study in the traditional sense, since we are seldom ever allowed any access to Plainview’s inner life - his past, his motivations, his desires, and so on. In this sense, the comparisons with Citizen Kane are actually more meaningful than they might at first appear. Like Kane, this is a film that is absolutely obsessed with its central character but which also provides barely any actual insight into that character, keeping him locked at its centre whilst allowing him to remain in many ways impenetrable. I would argue, however, that there is one very important sense in which the film does allow us to get to know Plainview, and that is through its narration: the way its story is told. I believe that the film is constructed in such a way as to make us view and feel its world in a comparable way to Plainview himself: in short, I would suggest that the film itself is borderline sociopathic. We can see a precedent for this in Anderson’s previous film, Punch-Drunk Love (2002), a simultaneously sweet- and violent-natured film about a simultaneously sweet- and violent-natured man, Barry Egan (Adam Sandler). Two of the strangest narrational strategies of that film - the breaks into moments of beautiful, amorphous colour, and the occasionally cacophonous and strung-out percussion on its soundtrack - spoke of two aspects of Barry’s personality that he was having to continually repress: a romantic desire for escape, and a vexed and violent unhappiness. These elements of his personality were only allowed to occasionally erupt unfettered in Barry himself, but they were continually being communicated in the film’s own construction. So it is in Blood for Plainview, who has to repress his intense misanthropy and sociopathic tendencies in his daily dealings, and so, instead, we are made to experience them formally through the way the story is told. The film’s much-commented-upon predominant lack of female characters can also be understood in terms of the film’s sociopathically narrow point of view. It is certainly possible to understand Plainview psychologically as impotent, or in some way asexual: indeed, what clearer symbolic image of the hysterical compensation for fears about one’s manhood could be thought of than a man who builds giant phallic objects that drill rhythmically into the ground, occasionally eliciting gushes of liquid…? (Sirk’s Written on the Wind  comes to mind as an obvious parallel in this respect.) Whether this is true or not though, we can certainly say that he seems to have very little interest in women whatsoever, either sexually or otherwise (one brief line about remembering taking women to “the Peach Tree Dance”, and an unverified accusation from Eli about “lusting after women” notwithstanding). While one plausible reaction is to judge the lack of women in the film negatively, another is to see it as one more way in which the film communicates economically and powerfully the terrifying worldview of a mind so cut off from everything that a healthy and appropriate response to living in the real world demands: in this case, engaging with the ‘other’ fifty percent of the world’s population. There is a great deal more to be said about the subject, but I hope that I have made it clear both why I think that some of the connotations of a word like ‘epic’ are not quite applicable to There Will Be Blood, and why the film might strike us as being as strange and idiosyncratic as it does (or, at least, does this viewer). I also hope, though, to have proposed a persuasive case for why the strangeness of the film is not merely strange, but in fact represents a method of storytelling that is entirely appropriate to its subject matter. Whether you want to call the film as a whole ‘sociopathic’, I think it is undeniable that much of what makes the film feel odd and challenging has to do with the point of view that it sets up, and that - if we were forced to anthropomorphise this point of view - sociopathic is as good a word as any for its tendencies. This is nevertheless a complex and impressive movie that I am positive will be the subject of a great deal more critical debate in the months and years to come. It is a debate that I very much look forward to, since I suspect (even if perhaps for slightly different reasons than others of its supporters) that Anderson and co. may have made a film that deserves as much attention and discussion as some of the most fascinating works in the cinematic canon. This article was published on April 04, 2008.